Description : doodledays is designed for parents with young children (less than 5 years old) residing in the US. doodledays members can select, track and review the quality of childcare services based on their own personal criteria. 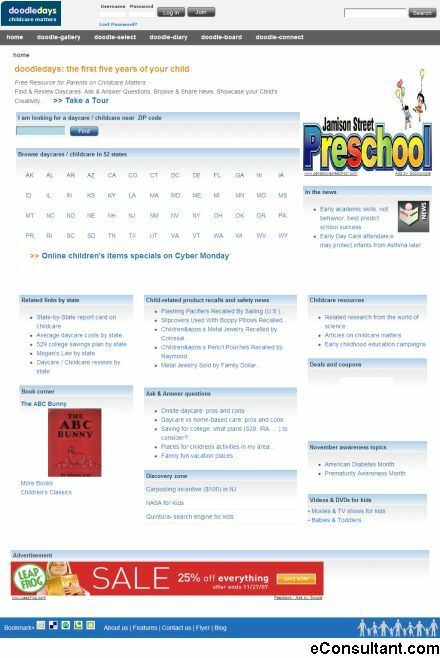 Members can also use the site to communicate with their daycare provider. Members can post their views, opinions, ratings and personal buy/sell/exchange/donate advertisements.